Upon arrival in Ha Noi, you will be picked up and transferred to your hotel. You have free time to visit 36 Old Quarter streets, Hang Be market – a typical Vietnamese day market and enjoy a traditional water puppet show in the evening (optional). Overnight in Hanoi. The day commences with a visit to Ho Chi Minh Complex ( Mausoleum, Museum the late venerated leader private residence at House on Stilts, followed by the wooden One Pillar Pagoda ). Then visit Temple of Literature. Lunch at a local restaurant. The afternoon is dedicated to the discovery of Ethnology Museum, After that, you will take a fascinating 1-hour tour of Ha Noi’s Old Quarter by Cyclo. The history of the Old Quarter dates back some 2000 years with its 36 narrow streets each named after the trade or merchandise made and sold there. Overnight in Ha Noi. Transfer to Noi Bai Airport to take short flight to Hue. You will be picked up at airport and transfer to your hotel. We will be visiting the Forbidden Purple City, where the Nguyen Dynasty ruled between 1802 and 1945. We then continue to take a morning boat trip on the romantic Perfume River to visit Thien Mu pagoda. Overnight in Hue. Drive up to Highway No.1 to the battle site of Quang Tri. Then pass the site of Ai Tu combat base and airfield of the 3rd Division Headquarters of the former South Army. Reaching Dong Ha town, enter the quadrilateral area bordered by Con Tien, Gio Linh, Dong Ha and Cam Lo which was nicknamed Leatherneck Square during Operation Buffalo Continue up Highway No. 1 across the Hien Luong bridge over the Ben Hai river which once demarcated North and South Vietnam – the 17th Parallel. Visit to the tunnels in Vinh Moc and the Con Tien fire support base. Transfer back to Dong Ha. Overnight in Dong Ha. After breakfast, depart to the DMZ (Demilitarized zone) along Route 9 to Khe Sanh. Passing a series of fire support bases: the Rock Pile, Da Krong bridge and Huong Hoa district headquarters. Arrive in Khe Sanh, now is a coffee plantation, an old French fort and the Montagnard village. Continue on Route 9 to Lang Vei Special Forces Camp. Visit to the Lao Bao border town where illicit border trade remains very active. With an advanced notice, a border crossing to Laos is possible to follow Operation Lam Son 179 where South Vietnamese soldier’s strongholds were built in the neighbouring country. Travel to A Luoi and visit the special force camp there. Visit to the landing zone Cunningham, landing zone arsine and landing zone razor. Upon special advanced request, continue southwards to A Sau valley and the famous Hamburger Hill. Continue to Hue. Overnight in Hue. 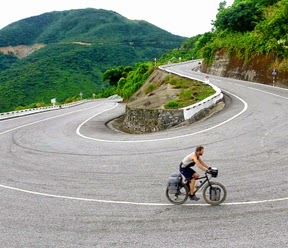 Depart for Danang, the scenic route passes the wonderfully photogenic fishing village of Lang Co, with the splendid Lang Co Beach, before climbing over Hai Van pass (the pass of Ocean Clouds). Arrive in Danang, the forth largest city in Vietnam. Danang City tour in the afternoon for visiting the city, recalling the chaos of March 1975, when the Saigon government abandoned Danang and countless refugees fled the city. Visit Cham museum, Marble Mountain with a marble carving village and also the beach where the US Mariners first came ashore, beginning American’s major involvement in Indochina. Overnight in Hoi An. Walking around Hoi An ancient town to visit the former merchant’s houses, the 400-year-old Japanese Bridge, ancient pagodas, temples. Continue on the coastal plain to Chu Lai jar base and see the work of sky hawks. Stop at Son My district for visiting the scene of the former infamous My Lai incident. Travel along the rugged Animate Mountains down to Highway No. 1 which was sarcastically referred to as “The Road without Joy” by French soldiers. In the late afternoon, arrive in Qui Nhon, a major port and supply depot that kept Highway No. 1 open during the war. Overnight in Quy Nhon. Leaving Qui Nhon for Nha Trang, one of the headquarters of the US’s fifth Special Forces group in the Second Corps. Enjoy the wonderful coastal scenery and landscape of Central Vietnam. Overnight in Nha Trang. After breakfast, take a boat trip in the morning for visiting Tri Nguyen fish pond, Tam island and a fishing village. Followed by lunch then transfer back to Da Lat with a stop to visit Ponagar temple, a fine example of 2nd Century Cham architecture. Arrive in Da Lat. Overnight in Da Lat. Da Lat city tour in the morning for visiting Xuan Huong lake, Love valley, Da Lat church and orchid garden then depart for Ho Chi Minh City. Travel through the Central Highlands to Bao Loc with a stop to visit silk farm and mulberry plantations. Overnight in Ho Chi Minh. Ho Chi Minh City tour for visiting the city: Notre Dame Cathedral, Independent Palace, the former US Embassy. Continue to visit War Museum, Revolution, Museum, Giac Lam pagoda, a war vestige where a Buddhist monk immolated himself in protest of war, and the church where Ngo Dinh Diem – President of the puppet government – was assassinated. Overnight in Ho Chi Minh. Transfer to visit the Route 13 which passes the town of Phu Cuong, the Phu Loi base was used to relocate villagers and the Cau Dinh jungle. Pass a staging area of the 503rd Airborne Brigade. Arrive in Ben Cat, view the site of the bases of the 173rd Airborne and the 11th Armoured Cavalry Divisions arrive in Ben Suc, the Northern tip of the Iron Triangle. Visit Tay Ninh Temple of Caodaism followers with their mass ceremony at noon. Transfer back to Ho Chi Minh City, visit Cu Chi tunnels, the underground system with a length of over 200km. Overnight in Ho Chi Minh. Free time to explore the city or shopping around before transferring to airport for taking flight back home. Trip ends.